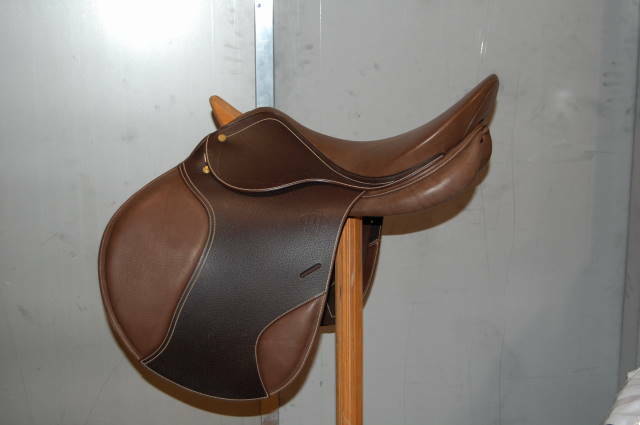 Tolga's all purpose English saddle has traditional styling with a comfortable deep seat is great for the flat and with the flaps cut forward, its great for a rider whom occasionally wants to jump. 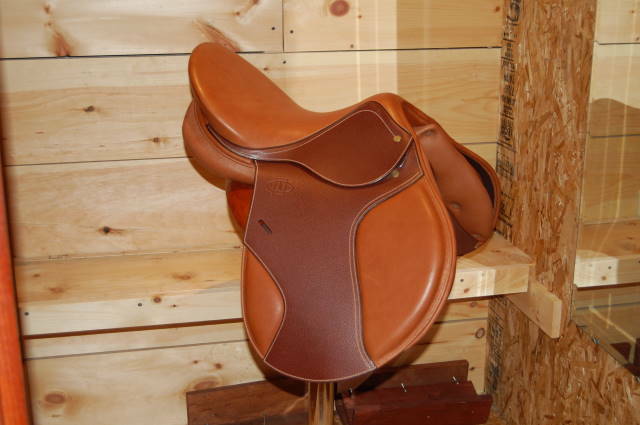 Smooth Calf lined, with grain flap, concealed knee rolls and gusseted flocked panels. 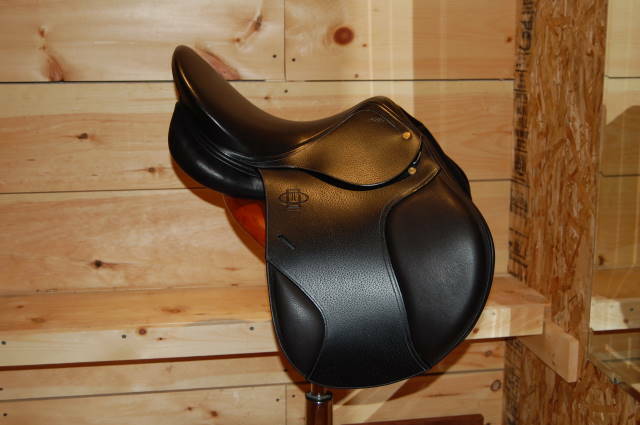 Provides excellent balance, and comfort to rider, perfect for all types of riding.